McWhirter Realty Partners, a comprehensive real estate services firm offering brokerage, asset management, property management, development and advisory services, today announced it has hired Susan C. Dorr as Chief Operating Officer. ATLANTA, Ga., Oct 22, 2018 (SEND2PRESS NEWSWIRE) -- McWhirter Realty Partners, a comprehensive real estate services firm offering brokerage, asset management, property management, development and advisory services, today announced it has hired Susan C. Dorr as Chief Operating Officer. Dorr will be responsible for leading the company's management expansion across the Southeast. She will also work closely with Barry E. McWhirter, CEO, to improve the company's IT services, enhance software platforms for internal and external reporting and develop the overall strategy of growth. "Susan's experience is a natural fit for our company as we grow our management portfolios," said Barry E. McWhirter, CEO. "We are excited about the leadership she brings to our team, and the vast knowledge of cutting-edge systems and processes necessary to ensure we continue to deliver the highest quality services to our clients." Susan has more than 30 years of healthcare real estate experience with both private and public real estate investment trusts, along with experience in retail and office portfolio management, development and leasing. She is recognized for her ability to deliver successful projects, increase profitability and foster solid client relationships. Throughout her career she has directed property and asset management platforms for over five million square feet of medical office buildings in the southeast for institutional owners including American Healthcare Investors, Healthcare Trust of America, Cogdell Spencer ERDMAN and Edens & Avant. Dorr holds CPM and CCIM designations, as well as a Georgia and South Carolina Broker's License. 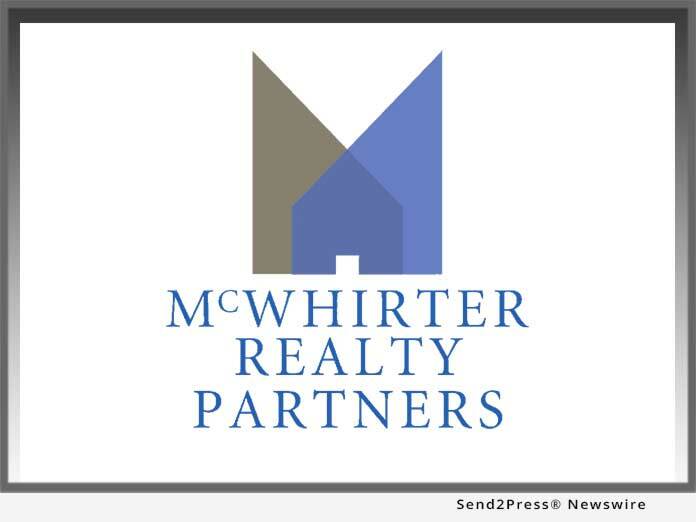 Founded in 1981, McWhirter Realty Partners has established itself as a leading real estate services firm averaging more than 200 sale and lease transactions representing in excess of $150 million in real estate volume. McWhirter Realty Partners focusses on brokerage, asset management, property management and development services with expertise in industrial, office, retail, medical and land sales throughout the United States. The company consistently ranks as a Top Ten Producer as recognized by the Atlanta Commercial Board of Realtors. McWhirter Realty Partners is located at 300 Galleria Parkway, Suite 300, Atlanta, Georgia 30339.